Without sounding like a door to door salesperson, I am going to tell you about this Ops Saving Muka that I had in the last two weeks. 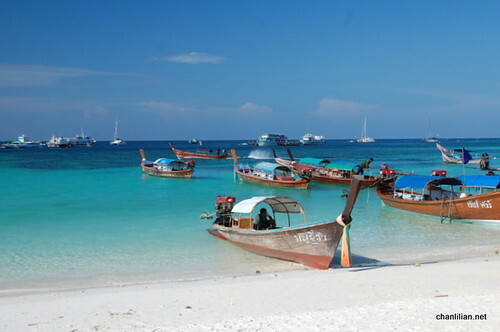 I went to Koh Lipe in Thailand two weeks ago during the school holidays. 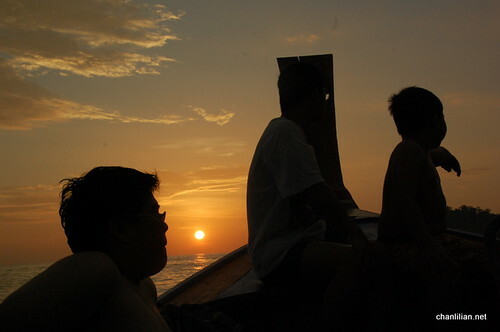 I took the trouble to wear long sleeves and long pants when I went snorkelling and boating. I looked almost like one of those Arab women with their head to toe cover-up. We went out early in the morning on a boat and only came back in the late evening. 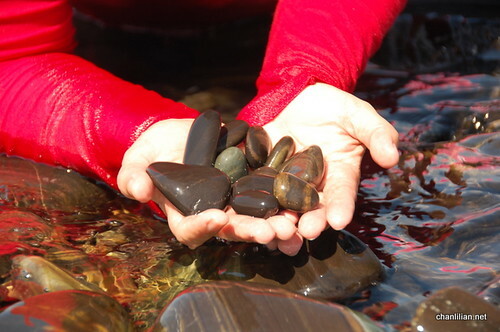 We went to nine places to snorkel and also enjoy the beaches at the Thailand National Park. So, after exposing ourselves to the sun from sunrise to sunset, I came back and found that my face has turned several shades darker and rougher! FML! The parts where I wear clothes were fine. The parts where I used sun protection cream were not burn but still, it turned so dark. Someone recommended the Evolle miracle bar he sells. I was like “Chey, uu nya boh nya eh?” (true or not?). I don’t normally believe the word miracle but since he gave me samples of the soap, I decided to give it a try. What have I got to lose, right? He said Michelle Obama also used one of the ingredients, the Swiss Apple to keep her young. It was mentioned in the Telegraph UK (link here). I got home, opened up a bar and tried. At first, I thought it is psychological effect whereby if I think Michelle Obama says it is good, I also imagine it is good. But after a few days, I notice the roughness and the dark patches were gone. Foundation sticks well and my miracle water is absorbed easily. The bar is just a small brownish rectangle. But damn…it is that good. So, I told my two older sons who have pimples to give it a try. After a week, the inflamed pimples are ‘tamed’. Of course it is a bit expensive lah, but if it works, then, ok lor. And I don’t sell it. And I am not trying to sell it. I am just so happy that my Operasi Saving Muka works. Where to buy Evolle Miracle Bar? I don’t know. Find out from their site. I got it as samples from a friend. They have a website here at Evolle. Also a Facebook fan page with all the latest information. Now, I am back to my ‘always young and vibrant looking’ self. Hey, I didn’t say that, my idol said it one….Anyway, my facial skin is so far quite ok lah. No wrinkles at 46 yet. I have problems with open pores but that is easily solved with drinking plenty of water, eating lots of fruits, discipline facial care and a bit of foundation to hide it. Next Next post: Does it matter if you are Malaysian first or Chinese first or manusia first? I don’t dare to go expose myself in the sun like that, even if got sunscreen on. Prefer to stay fair, fair so no need to spend so much money on SKII and such. Wah, the miracle soap very expensive la…. about RM100! I’ve been using Evolle for several months. I must say Evolle is 1 of the most revolutionary skincare I’ve ever used. Application is easy, and what amazes me, is that it has tightening and lifting effect! Most perfect anti-aging effect natural skincare. It’s definitely worth every cent! I have just started using Evolle and it really works! Are you a Malaysian resident? You can save 20-50% off standard internet rates on your next holiday in Thailand. Book now, travel later; you will never get these low prices again! Exclusive savings for Malaysian residents. Visit http://www.mythaifavorites.com and take advantage of these special savings today! 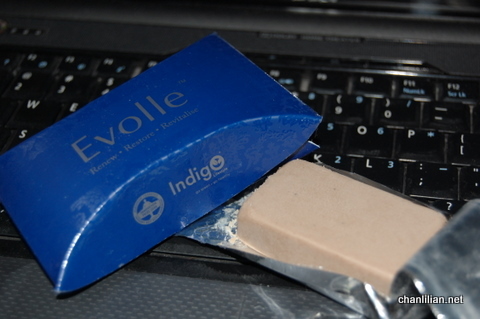 Whoever is interested to try or buy EVOLLE just email me and it can be delivered to your doorsteps.